Ranch Foods Direct is smokin’ it! Nothing says fall like the scent of wood smoke in the air. Ranch Foods Direct is now smoking meats on-site, turning out a variety of smoked Callicrate Pork products that include boneless hams, bacon and jowls, as well as bone-in ham, shanks and loin chops. Prices range from $7 to $10 a pound, depending on the product. Enjoy great flavor and convenience with these fully cooked meat items. An easy-to-use addition to soups and stews, fall pasta bakes, casseroles and more! 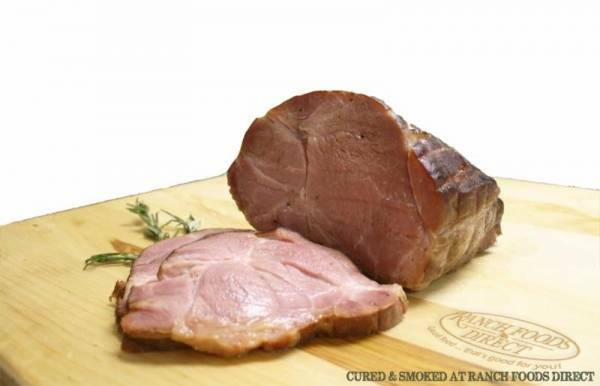 Coming soon… Ranch Foods Direct will be smoking whole hams and turkeys for the holiday season!